By now you know all about my very real struggle to find whole wheat bread, so I’m sure you’re not surprised to hear that I’ve not been able to find whole-wheat breadcrumbs either. 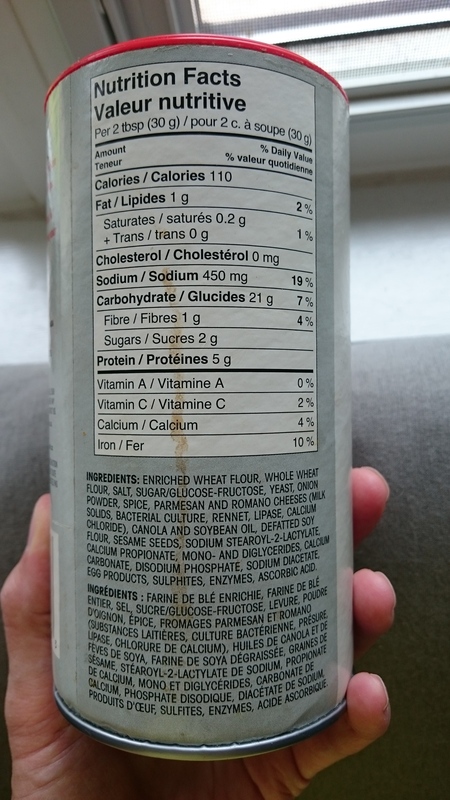 This has never bothered me much because I feel most foods made with breadcrumbs are carb-heavy to start with, and certainly don’t benefit from even more wheat being added (even if it’s actually whole grain). Macaroni and cheese, I’m looking at you. 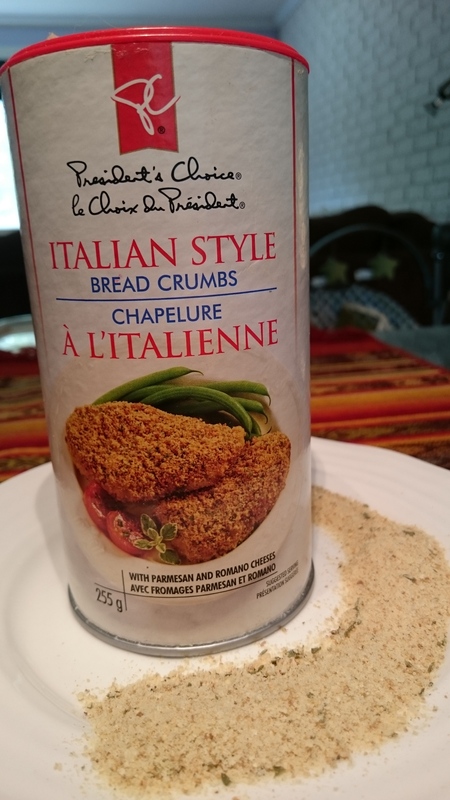 However, avoiding breadcrumbs also means I have to make some major modifications if I do want to make meals like eggplant parmesan, meatballs (vegetarian meatballs), and veggie burgers at home. Missing out on eggplant parmesan is the worst. I love eggplant parmesan. I know what you’re saying – Jill, just eat some stupid breadcrumbs already. It won’t kill you. I know, I know. I’ve thought that too. “I’ll just mosey on down to the local bakery and pick up some of their fresh crumbs as a treat.” I tried that, and it turned out our local Italian bakery adds a lot more to their “traditional” bread than flour and yeast, so I definitely didn’t want to eat their crumbs. Plus, the dry breadcrumbs you find at the grocery store have an ingredient list that rivals Taquitos. Serious additive territory. Now that I’m feeding baby Popcorn solids (or semi-solids, I guess), the blender I didn’t even know we owned has found a permanent place on our kitchen counter. And that means I’m more inclined to use it for other things, like (drumroll) homemade breadcrumbs! I wasn’t sure what would happen when I pushed the “on” button – would they stick together? Turn into gruel? Just fly around like those elusive keys in the first Harry Potter book? They didn’t. 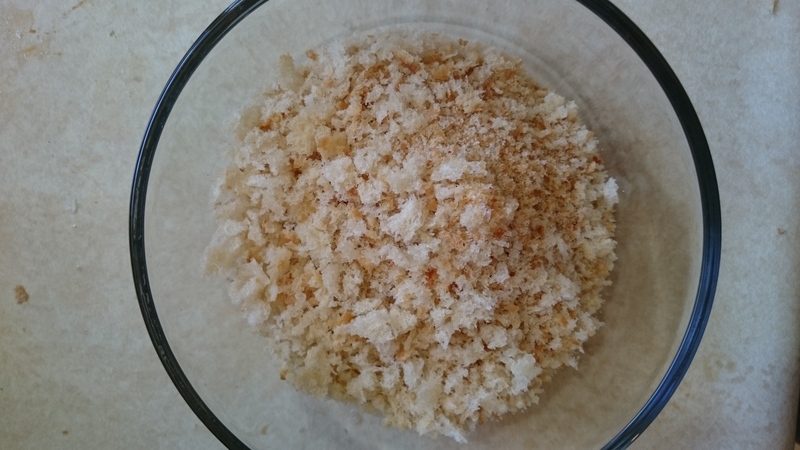 They just whizzed easily down to regular ‘ol breadcrumbs (with maybe a coarser grind, but you could fix that with a bit of patience). These are seriously so easy there is no excuse not to make them. And that means I can have my eggplant parmesan and eat it, too. 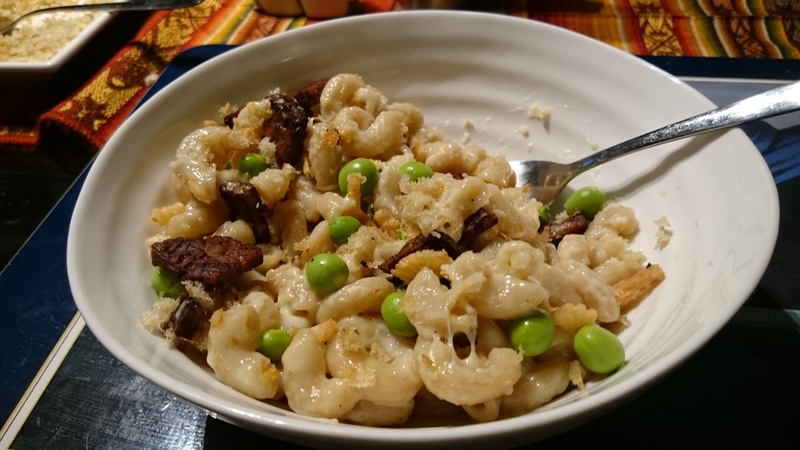 I even sautéed the crumbs in a little (lot) of butter and added them to the top of my favourite homemade macaroni and cheese recipe. Decadent. This isn’t much of a recipe; it’s more of a guideline. Use as much bread as you want. Because the crumbs aren’t very dense, a few slices of bread or small buns will yield a cup or two of crumbs. Start with very stale bread. It should be rock-solid and dehydrated with no trace of moisture. We left buns from a BBQ on our counter, exposed to the air (totally on purpose ;)…) for a few days first. Full disclosure: the buns in the picture are white buns because we couldn’t find whole wheat ones in bulk. But this works with white or whole wheat bread equally well. 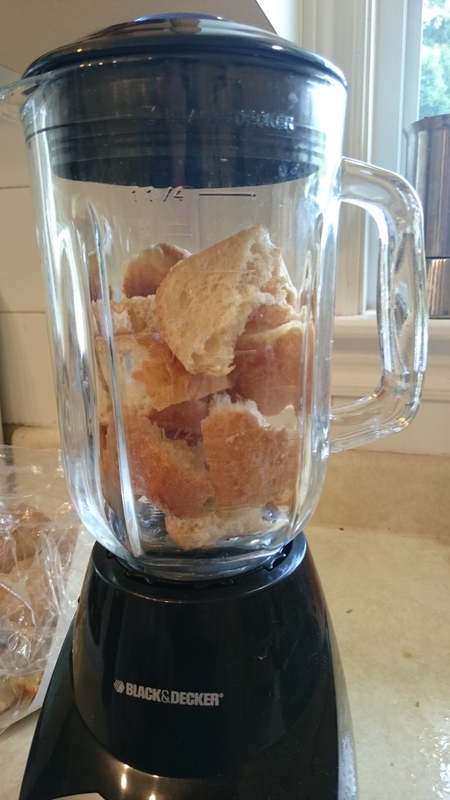 Break up the bread with your fingers and add to the blender. Pulse on a medium/high setting (I used 6) until crumbly. 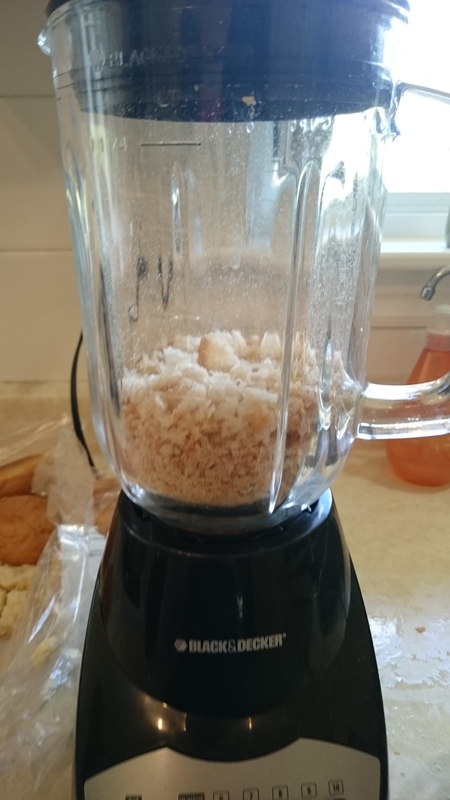 You may have to scrape down the sides of the blender if the crumbs aren’t heavy enough to settle on their own. Store in the fridge and use in your favourite recipes. I’m going to make homemade veggie burgers, oven-fried eggplant (with real mayo of course), and vegetarian meatballs. Am I missing any other awesome bread-crumby recipes? Let me know in the comments.